Steel with powder coating wall garment rack offers a stylish design. Features a shelf for accessories. Includes three hangers and mounting hardware. 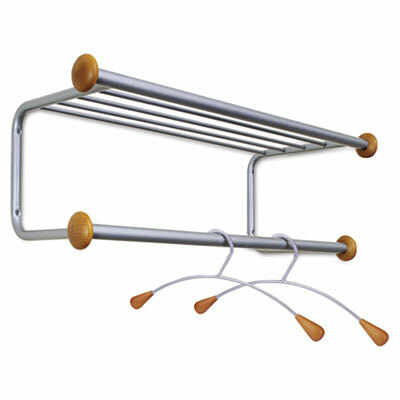 Steel with powder coating wall garment rack offers a stylish design. Features a shelf for accessories and one rack for coat hangers. Includes three hangers and mounting hardware.